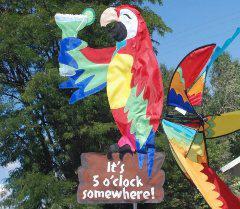 The NCCPH is a not for profit organization dedicated to raising money for charity, preserving and improving the environment, active in community oriented projects and concerns as a means of social interaction with like minded people interested in the lifestyle and music of Jimmy Buffett and possesses a tropical spirit loving life in the Rocky Mountains. 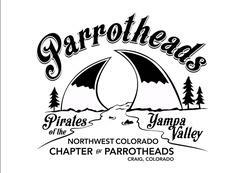 The Northwest Colorado Parrotheads have been spreading good cheer and Partying with a Purpose since 2008. December 2018 - No minutes from the "Not a Meeting Get Together"
Take a look at some of our proud purposes! PHlower Pots - 130 to brighten the town around us!